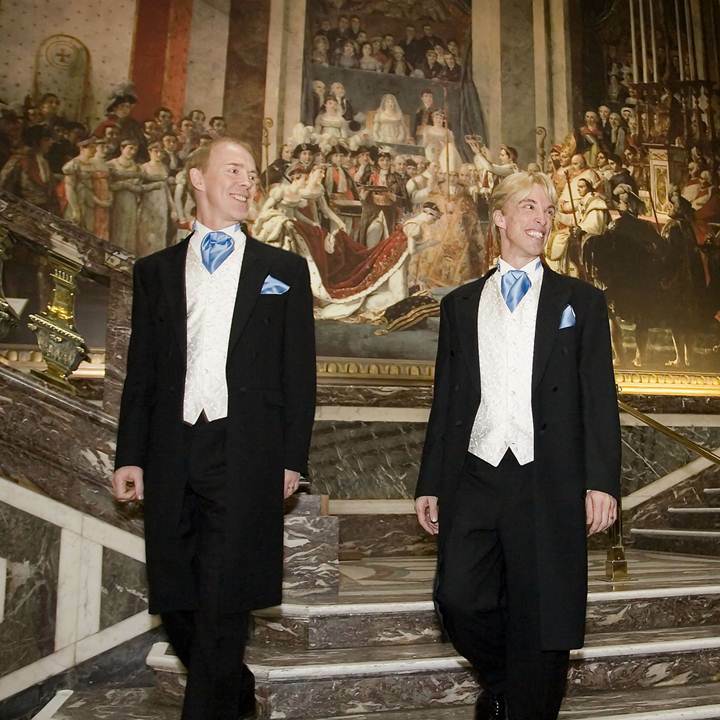 At 8.30am on 10 December 2014, almost exactly nine years after their historic Civil Partnership, Francis and Peter were chosen as the first in Devon to sign a legal document that retrospectively converted their partnership to a Marriage. 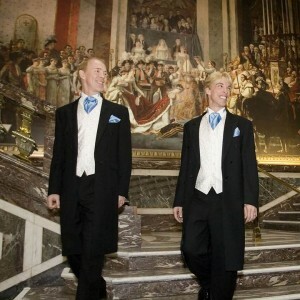 Their union back in 2005 now became the first fully-fledged marriage ceremony of a gay couple. At long last, Francis and Peter were now, and legally had been since 21 December 2005, husband and husband. Previously, in 1993 they precipitated a change in US-Immigration policy when they set legal precedent by being formally accepted as an unmarried couple entitled to unlimited independent travel in and out of the USA despite being the same gender and only one of them being on Executive Transfer. Wherever they have been based, Francis and Peter have always maintained a home in Devon, England, within a few miles of most of their large extended family. During World War II, Dr Scott-Morgan’s father designed key parts of the communication strategy for Operation Overlord and the D-Day landings, for which he was awarded the MBE.